What do I need to know about life insurance policies? Research and unbiased advice are two essential ingredients when it comes to Life Insurance. Do not to rush into purchasing life insurance. It is a lifetime investment and you need to do research before selecting what best suits personal and family circumstances and needs. Insurance brokers are qualified representatives of the South African insurance industry. They work with dozens of different insurance companies on a daily basis and are knowledgeable about both product and pricing. Seek the advice of a broker before committing pen to paper. They will offer the best advice to suit individual and family needs. A good method to adopt when considering life insurance is to first research products available to South African consumers. Most reputable insurance companies have their own dedicated websites, making this research both quick and simple. Once you have this knowledge, the consumer can then ask the right questions when approaching a broker for further advice. Whole Life insurance pays out a tax-free lump sum to stipulated beneficiaries when the policyholder dies. It can be regarded as a fixed investment, payable by the policyholder until the date of death. Cash can be borrowed against a Whole Life policy, and it can also be used as surety against purchases, such as motor vehicles or when seeking a mortgage bond. Term Life is a much cheaper life insurance option. However, there will be a payout should the policyholder die before the “term” period of the policy expires. This form of life insurance is usually taken out by applicants seeking to hedge overheads, such as vehicle payments of mortgage bonds, over a pre-selected number of years. Before selecting the amount of cover, take into consideration family needs to continue a stress-free financial life in the event of the death of the breadwinner. The amount of the life cover should be at least eight years’ worth of earnings, PLUS additional funds for larger one-off expenses such as university fees and vehicles purchases. It is advisable to take out as much cover as one can possibly afford. 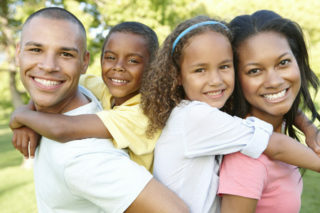 Buying a life insurance policy is essential to safeguard the future of loved ones. It is also essential to choose the right product to best serve individual and family needs. For that reason, selecting an insurance broker for advice is highly recommended.